A truly unique necklace of gorgeous green fluorite and sterling silver. 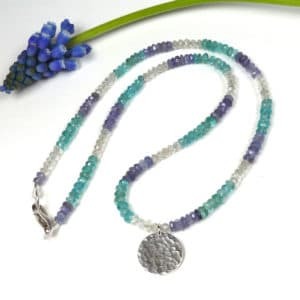 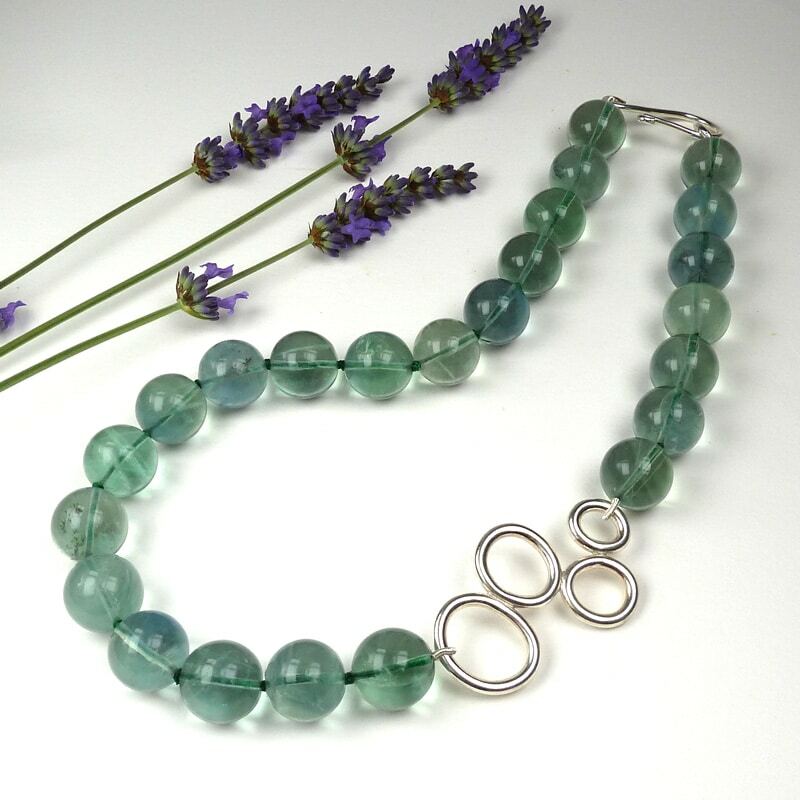 The fluorite beads are 16mm in diameter and the sterling silver ‘bubble’ feature measures 55mm in length. 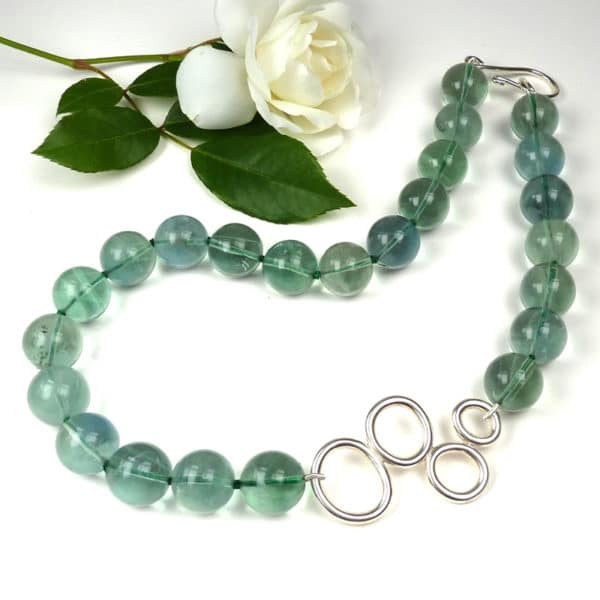 The clasp is a hand-forged sterling silver ‘shepherd’s hook’ bearing Natasha’s hallmark. 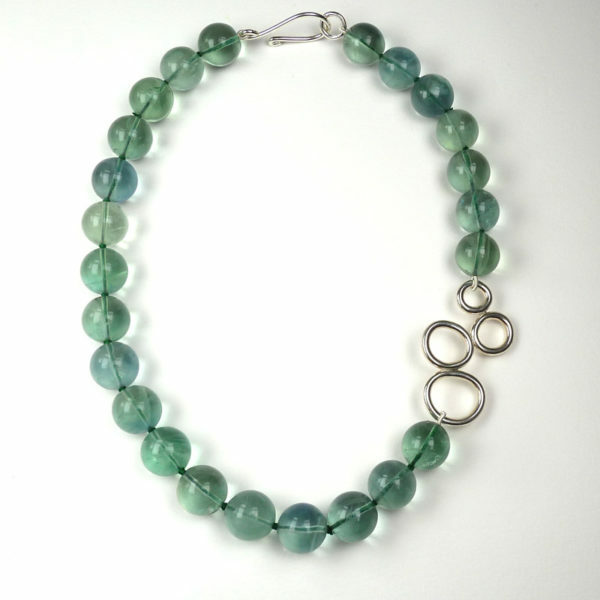 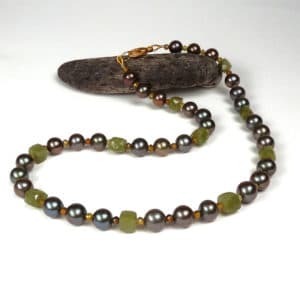 Length, including clasp, when laid out flat: 20.5 inches.